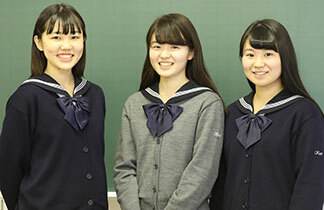 Kosei Girls are Global!Our students continue to win prizes at both domestic and international competitions! 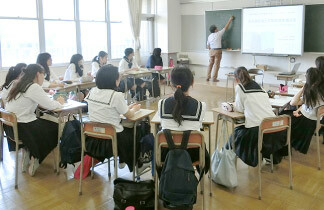 Students from designated “Super Global High Schools” all over Japan took part in this prestigious event. Students presented the findings of their research investigations in English. Out of the 133 schools that participated, 4 schools were selected to take part in the final round of presentations. 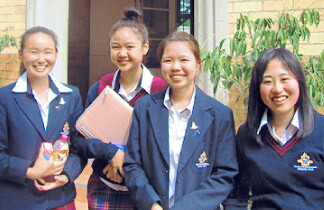 Two students from our school went on to take home the top prize, the Education Minister’s Award. 2nd Place at an International Competition! In 2018, one of our students was awarded second prize at a prestigious international competition! Aika came 2nd out of the 37 teams who participated in the social research section of the competition. Since I entered this high school, the way I view the world has suddenly expanded. I want to share what we have experienced and the research we have carried out, with as many people as possible. Tackle the topic of your choice in your own research project! Foster all four key linguistic skills! Use the skills you have gained to enter university! Hear real stories of hardships our students have faced and failures they have overcome! A Super Global High School (SGH) is a school that has been recognized by the government for its strong focus on fostering the skills needed by future global leaders. In 2014, we were among the first 246 high schools across Japan to become a designated SGH. 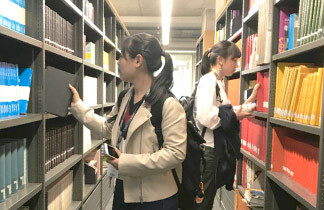 Our students carry out fieldwork research on a topic of their choice to investigate how we can build societies where people from different ethnic backgrounds can live together peacefully. Students visit several countries to gain a firsthand understanding of the situations faced by different groups.